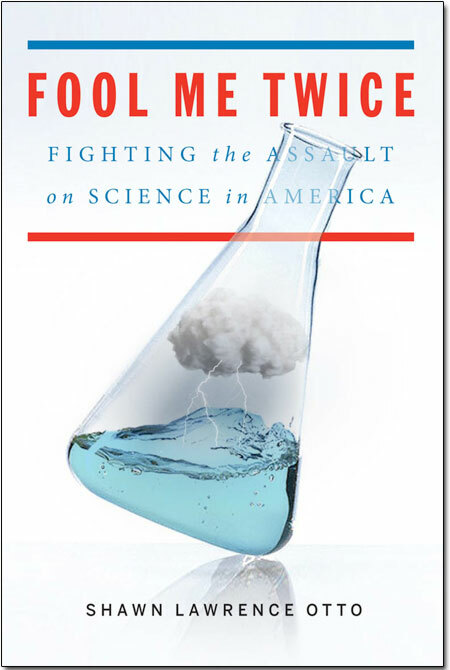 It was the largest grassroots initiative in US history: The “Science Debate” in reaction to the presidential campaign in 2008 (see Wikipedia entry). 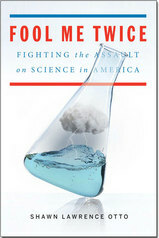 Among the scientific organizations supporting the campaign were the Carnegie Institution, the American Association for the Advancement of Science, the US National Academy of Sciences, the Union of Concerned Scientists, the Biophysical Society as well as all the main universities, many Nobel laureate, companies and science media. Some of you might have followed the presentations I gave on this issue (in Stanford, Tallin, Madrid (interactive prezi), Vienna (in German!) etc. — or see my blog posting about our own research activities in this area), because I am truly convinced that such an initiative also needs to be facilitated in Europe (which is what we tried with a few colleagues in Germany 2009 at TELI). For those in the US: There will be a publishing party in MN, next week. As long as science itself suppresses criticism with the arrogance of a tyrant while it is itself responsible for so many problems, people will go on to ever more distrust science, whether you like that or not. Cheer lead all you want, but the Science Debate/Science Wars are far from over. They have not even started yet. Right so, Sascha, this is also why I advocate for an OPEN debate, both in terms of the participants (laypeople on an eye level with scientists and policy makers, leading us to the ideal of a “scientific citizenship”) and in terms of not anticipating or prescribing any specific direction or result of the debate form the start (which is what mostly happens so far). Only such an open (“ergebnisoffene”) debate has the potential to develop the necessary transparency out of which the TRUST you are speaking of may develop. The media should by no means be the “cheerleader” in this debate but rather the mediator and “watchdog”. As far as I can see this is also what Shawn Otto and the “Science Debate” attempted — to assure that not a single person or party, any closed circles or politic elites decide (e.g. through funding) about the direction into which science is supposed to investigate. You might recall the original reason-why of the 2008 US debate where among 3000 questions posed to the presidential candidates in more than 170 TV interviews no more than SIX questions dealt with the issue of “climate change” in one way or another (compared to three questions dealing with UFOs). An increase of the perceived relevance of science in the published and public political discourse was the reason to start the science debate in the first place. Hey thanks for such impressive article, I have a tutorial for you just from here http://windowstuts.net/synchronize-settings/ get the tutorial to synchronize settings in windows 10 pc in easiest way which you will do it online by getting help support from our tutorial. Hey thanks for such impressive article, I have a tutorial for you just from here get the tutorial to synchronize settings in windows 10 pc in easiest way which you will do it online by getting help support from our tutorial.